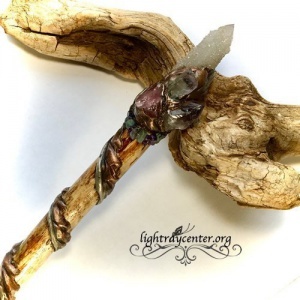 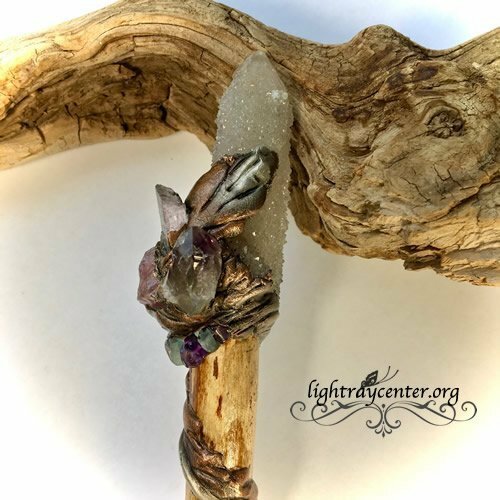 Marakette “Fairy’s Dance” the spirit of this handmade crystal wand dances in the colorful spring meadow with the Fairies and butterfiles, bringing happiness, joy and well being. 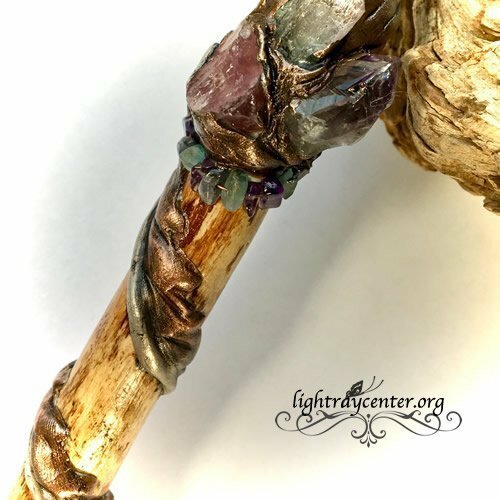 Marakette, a handmade white pine wand with a copper and silver leaf scroll design wrapped around the steck. 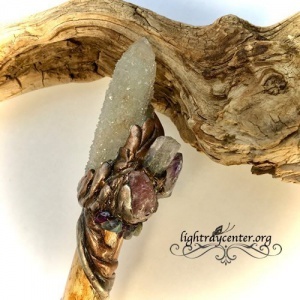 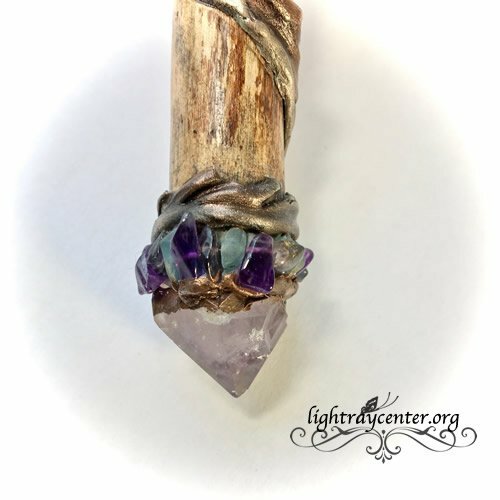 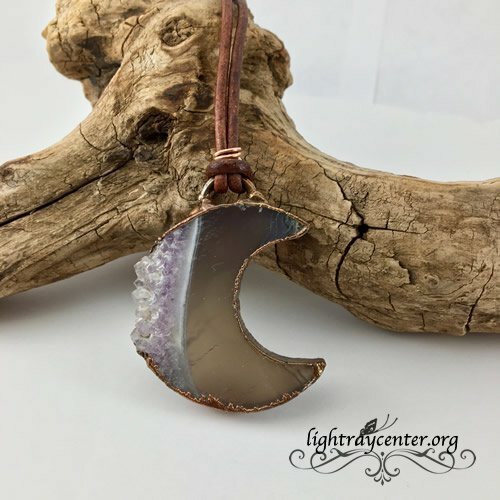 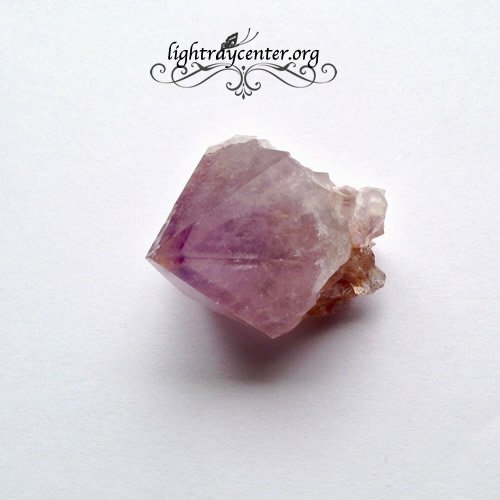 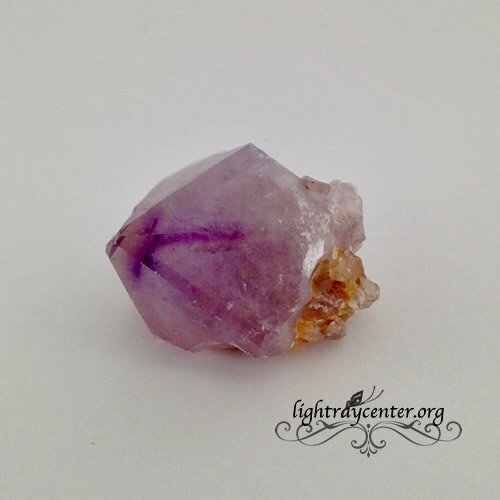 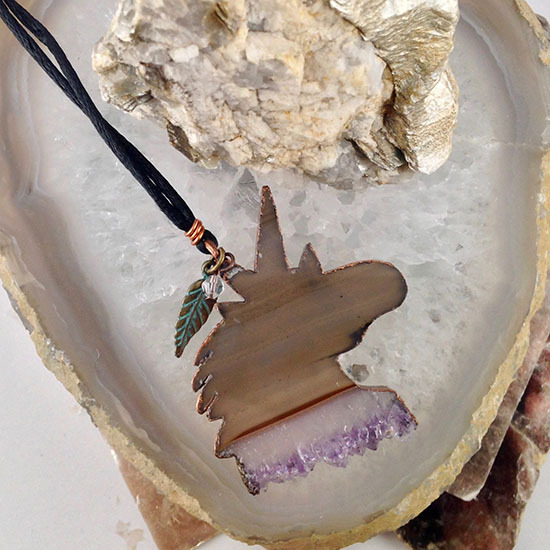 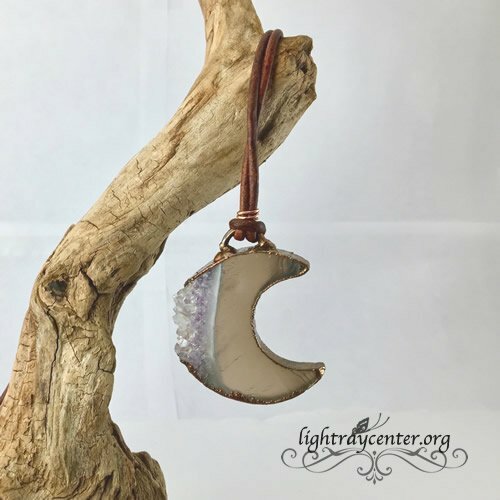 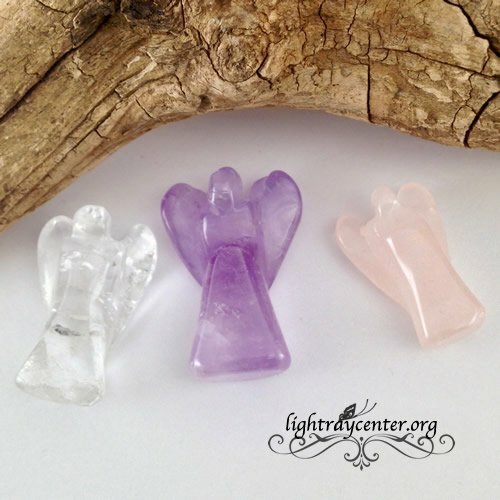 Crystals include kunzite, Madagascar rose quartz, amethyst spirit quartz, iolite, blue sapphire, amethyst topped with a spirit quartz point with an amethyst point kell. 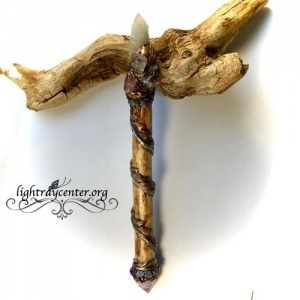 This wand comes in a wooden box along with the blessing prayer and name certificate.